This site was constructed with the intention of putting together photographs, names and any information that relates to both the 29th and 30th entries during training between October 1956 thru' to July 1958 at both No. 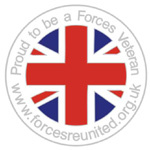 2 School of Technical Training - RAF Cosford and No. 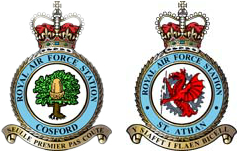 4 School of Technical Training - RAF St. Athan. My thanks to the following 'Boys' for their help in filling in the many gaps in my memory and supplying most of the photographs and information : Anthony Barratt, Gordon Brown, Alan Cake, Brian Carlin, Stan Carpenter, Les Carter, Charlie Cunningham, Tony Eades, John Fogden, Noel Faduk, Bryn Goodwin, Karl Green, Ralph Halsey, 'Tel' Hamon, Brian Hext, Len Lawrence, Ted Motteram, Eddie Owen, Don Pyle, John Usher, Owen Roberts, Vic Rowse, Mike Seabrook, David Anderson Walmsley, Warren Welstead, Michael Williams, Tony Witt and John Wyatt. Apologies to anybody that I missed during the building of the website.